I know that we always seem to be eating bacon baps, but when camping quick and easy is the order of the day. The plethora of camping cookbook recipes all seem to be based on just stews and curries with varying ingredients always considered one pot meals. I’m not a fan of curries or hot spicy food; I eat for comfort, not discomfort. 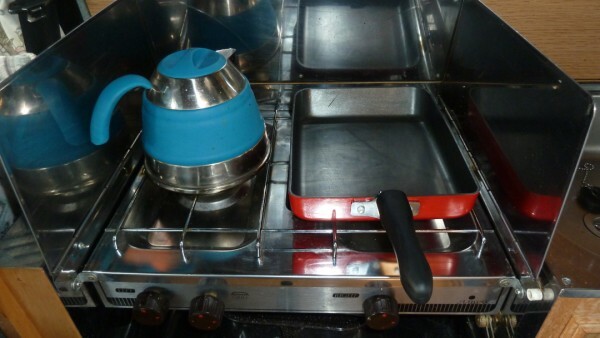 Trying to find something different, but still quick and easy to cook on the campervans two-burner hob and grill is always going to be a challenge. I love our rectangular Boatie frying pan, so I have been experimenting with tasty morsels that can be created using it. I haven’t given this concoction a clever name. It just exists in it’s own right as it is in a constant state of flux with bits and pieces being added as and when. There are no set amounts or quanties, just bung in what feels right to satisfy your hunger and the amount of mouths to feed. Chop the mushrooms into small slices and add them to the pan. Put the pan on a low heat. Whilst that’s frying, crack an egg or eggs into a cup, add a sprinkle of Italian herbs and lightly whisk together. Gently turn the pan ingredients until the Gnocchi is starting to brown and the bacon is cooked. Pour the egg mixture into the pan moving it around to cover all the ingredients binding them together. Pop the Boatie under the grill to brown of the top or if you’re a good flipper turn it over in the pan. Obviously this has now turned into an omelette, but it’s a tasty substantial omelette. Using the rectangular shaped Boatie means that the portion can be cut in half in the pan with a wooden spatula. Each piece just the correct size to be served on a slice of toast. It has now transformed into Egg on toast. I also tried this without adding the egg. A sort of breakfast stir-fry, adding small slices of cherry tomatoes, chopped sausage and finely cut onions into the mix. Morrison’s make red onion bread that would go nicely with it or perhaps a slice of Foccasia. Because we buy the Baps in multi-packs the last ones in the pack can be a little dry, so I slice them in half and toast the outsides under the grill and lightly butter the inside, add bacon. Warm toasted bacon baps mmmm!!! They can also be made into Cheese on toast baps. Again toast the outside and lightly butter the inside. Cut some cooked ham or bacon into small slices and lay on the untoasted side of the bap. Chop cherry tomatoes into small pieces placing them onto the ham. Finely chopped onions can be added if you fancy. Cover with a grated cheese of your choice, sprinkle with Italian herbs and place under the grill to melt the cheese and brown. Consume whilst warm, and then start grating cheese for your next one. You may have gathered by the lack of chickpeas and lentils that this isn’t the healthy eating option. This is the cuddled up in a cosy campervan comfort eating experience. 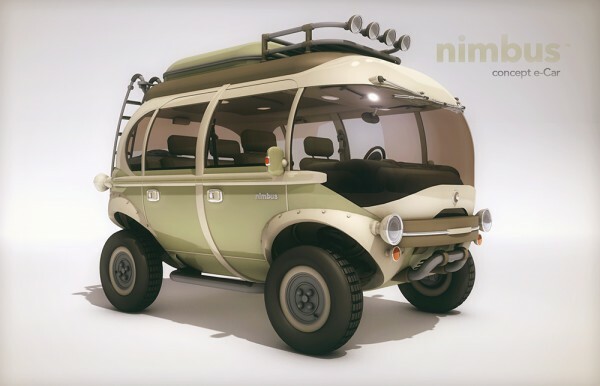 Is this the future of Overland travel. It certainly looks the part and the technology is good.